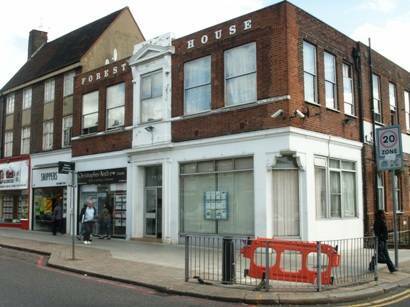 Forest House is a hostel in North London (Zone 3) consisting of 21 rooms with shared facilities. Accommodation includes singles, twins, triples and rooms for 4 persons. Whole building is divided in to 6 comprising units of three- four rooms, two showers and toilets with 24-hour hot water. spacious beds come with a duvet, pillow and clean bed linen. Upon arrival, guests are given keys to the Front Door (£15 deposit for the keys you will get back after check out), so that they can come and go as they please during their stay. Check-in is available from 9:30am to 7pm - contact us directly should you arrive later than 7pm. OFFICE HOURS ARE: Monday to Friday - 9. 30am to 7. 00pm Saturday - 9. 30am to 12. 00pm. Sundays Closed. Photo Identification in the form of a Driver License or Passport is required on Check In. Please note, for the month of December the balance due to the accommodation provider is due and payable immediately after the reservation. The Forest House Hostel offers all rooms with: hand basin, kettle, cups and plates, table with chairs, cupboard, spacious beds come with a duvet, pillow and clean bed linen. On request you could have in your room: TV, Towels, Microwave. Hostel is situated close to the main travel links and local amenities. Next door restaurants will offer delicious and not expensive meals. You will find quiet pubs, if you are tired from busy London, or welcoming nightclubs and discos within walking distance. Our location comprises busy London and its quiet surroundings. CANCELLATION POLICY: at the time of booking a non refundable one night's staying is payable and 72 hours before arrival the whole amount is due and payable. Situated in between Wood Green Tube station (on Piccadilly line) and Palmers Green (national Rail station). On the main road Green Lanes before North Circular Road. Take the tube towards Wood Green station on Piccadilly line, take any bus going towards Enfield (etc: 141) and get off after 5 bus stops just before North Circular Road (near Bank of Cyprus).